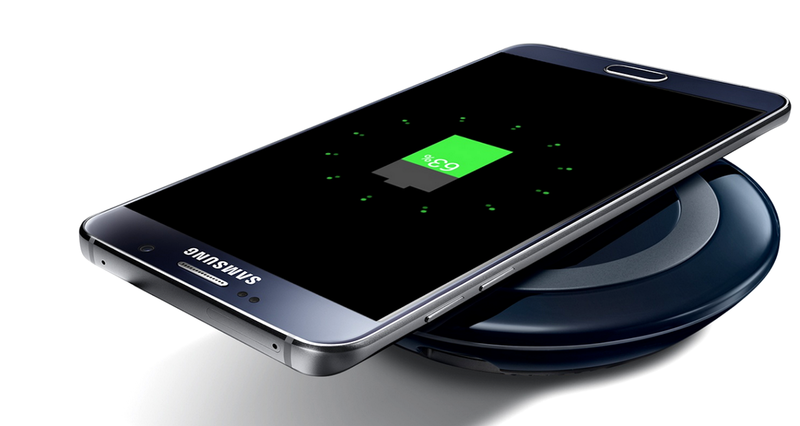 Samsung Galaxy Note 5 has a built-in wireless charging coil. but the charge battery using a wireless charger (sold separately). 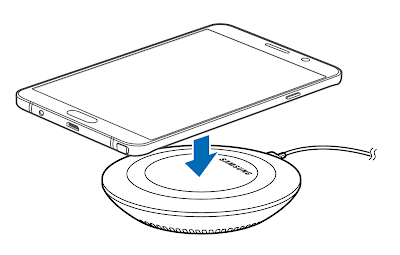 Place the center of the device’s back on the center of the wireless charger. You can check the remaining charging time on the screen. The actual remaining time may vary depending on the charging conditions. 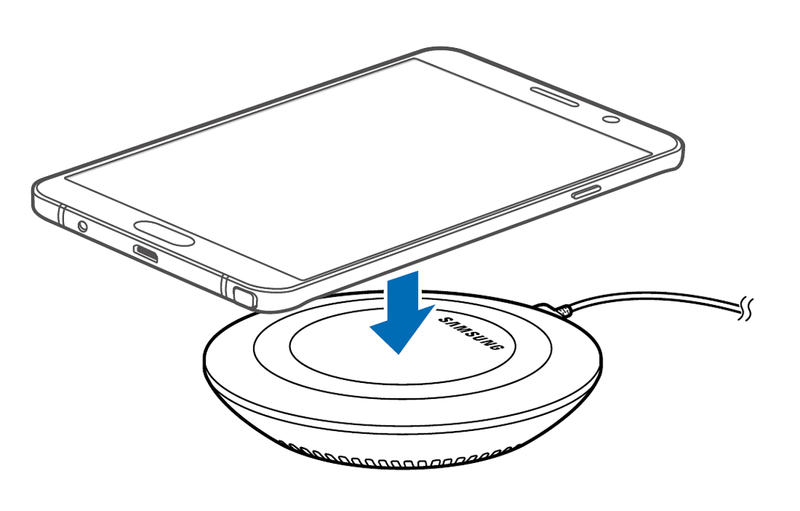 When there are foreign materials between the device and the wireless charger, the device may not charge properly. If you use other wireless chargers, the battery may not charge properly. Your Galaxy Note 5 can be faster using the Galaxy Note 5 fast wireless charging feature. To use this feature, you must use a charger and components that support the fast wireless charging feature.